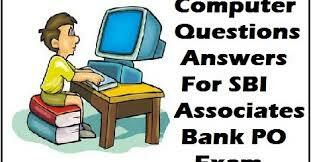 Very important questions Computer Awareness for Bank PO, IBPS, Bank Clerical And Date wise 12-08-2017 questions for bank exams, very important computer related questions for Bank PO, SBI PO, IBPSRAS, IAS, UPSC, RPSC, 1st, 2nd, 3rd Grade Teacher, REET CTET, LDC, SSC CGL, Rajasthan Police Delhi Police Related Study material And All competitive Exams and Most expected Computer Question Papers with answers.These Questions are most commonly asked in Other Banking Exam. कंप्यूटर का मुख्य सिस्टम बोर्ड क्या कहलाता है? बाइनरी सिस्टम एक नंबर सिस्टम है जिसका आधार है? यह एक्सेल में एक फक्शन कैटेगरी नहीं है? कौन–सा एक वह प्रोग्राम है जो उच्च स्तर भाषा को मशीन में बदलता है? वर्ड में रिप्लेस आप्शन कहाँ पर उपलब्ध है? कौन–सा कम्प्यूटर पद नहीं है?